Friday 8 February, 9am-5pm Denys Holland Lecture Theatre UCL Faculty of Laws, Bentham House, Endsleigh Gardens, WC1H 0EG Across the world, farmers and communities are experiencing the impact of climate change. People living in the world's poorest areas are most likely to be seriously affected, and least well prepared to withstand the impact of poor harvests and natural disasters. The UCL Institute of Global Health symposia brings together leading experts in health, policy, agriculture, ecosystems and climate science to explore and debate the links between climate change and food security. Keynote speakers include Sir John Beddington, Chief Scientific Adviser to the government, Professor Amir Kassam and Professor Mike Gooding from the University of Reading, Professor Georgina Mace, UCL and Deborah Doane, Director of World Development Movement. 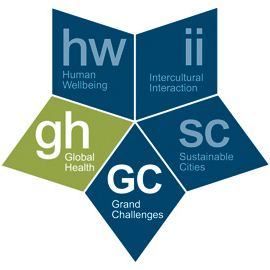 For more information, visit the UCL Institute of Global Health. You can also follow the event on Twitter @UCLGlobalHealth and guests are encouraged to Tweet using the hashtag #foodsecurity.